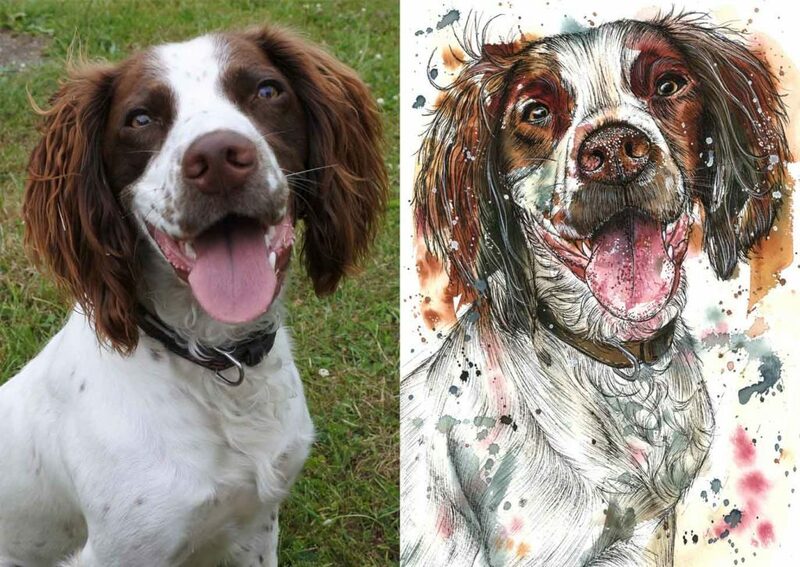 I adore this part of my job, receiving photos of gorgeous pets and turning them into artworks for their owners that truly express their characters and will last a lifetime. 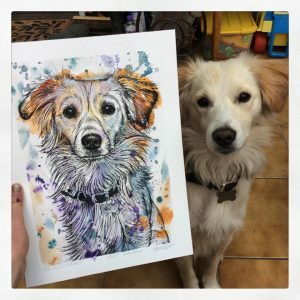 If you are considering commissioning a portrait, please have a full read through this page and make sure to visit the gallery for examples of my work and visit the testimonials page to read some reviews from past customers. Once you’ve had a full read through, you can find my details on the Contact page. I will happily paint any animal be it a pet, wild or farm animal. You can find the full price list on the right – sizes are flexible. 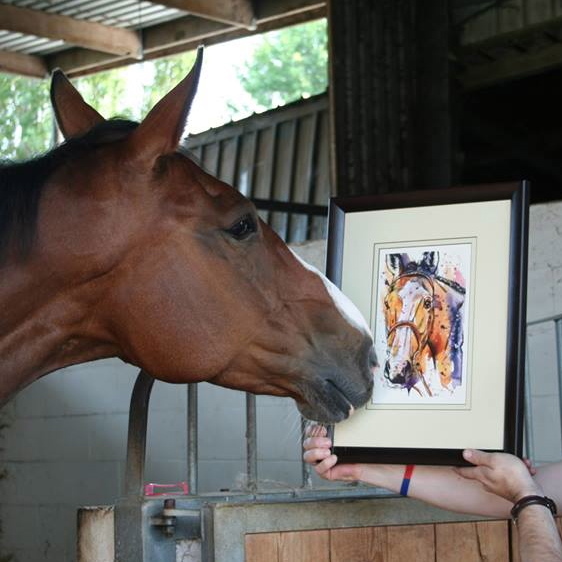 Postage is £11 within the UK which will allow me to send your artwork via Special Delivery so that it’s insured. Although only UK/US/AUS prices are listed, I will happily take payment from and post to any country. Please also note that I am happy for payments to be made in installments when requested. For all my artworks I use archival quality paper, paint and pens which means your paintings should last a lifetime. However, in order to increase the longevity of your artwork it is very important that you keep it out of direct sunlight and if possible choose an acid-free mount when framing. As I work directly from photos, it is important that we organise good quality photos for me to work from so that I can create a really detailed portrait for you. An ordinary camera will do or even a smart phone camera so long as the pics are taken in natural light. 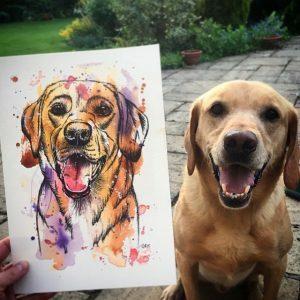 Send as many as you like and I will be able to choose the one I think will work best for the painting. With dogs, the standard sort of photo would be a close-up headshot, preferably taken at eye level and either outside or in a naturally well lit room as the sunlight picks up all the details in the fur (see photo on right). 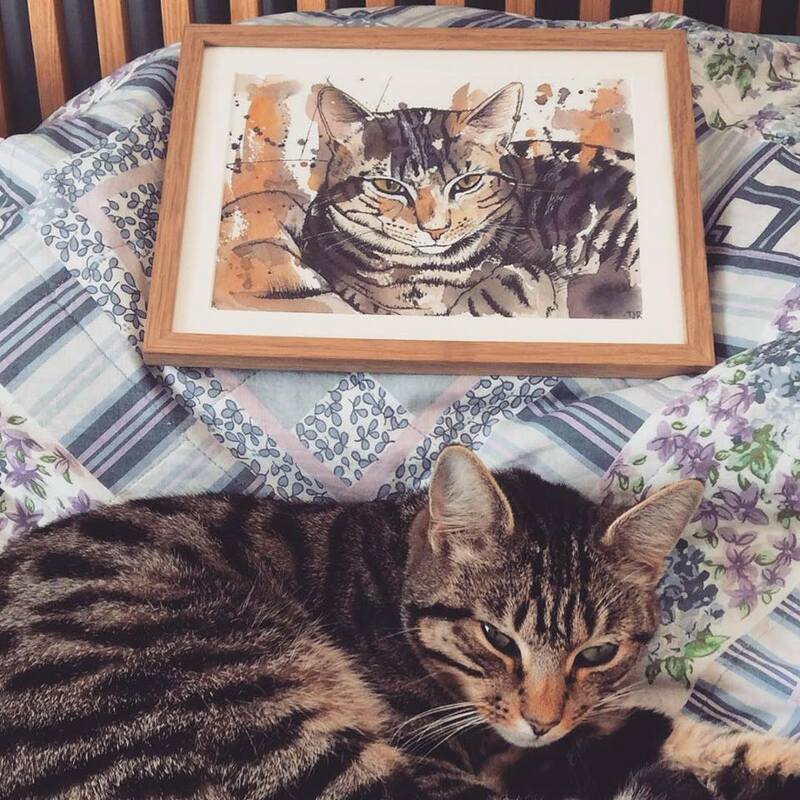 However, if you have a photo of your animal in another pose you would like me to paint from, I am happy to discuss. With cats, any pose generally works. With horses and other animals, please email me for guidance. 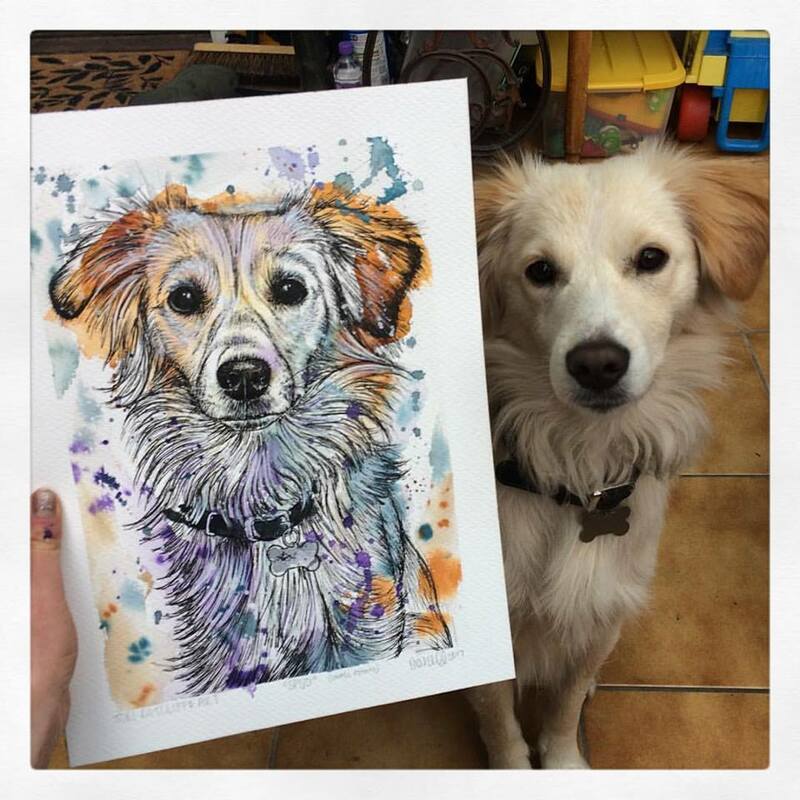 If there are multiple animals in the painting then you should take separate photos using the guidelines above and I will paint them into the same portrait. Please note that as the artist I retain the copyright for all artworks I produce, including pet portrait commissions. This means that I may choose to create prints from your painting commission. If this is something you are not comfortable please let me know prior to starting your commission. featured, please contact me directly for a quote. Payment can be made in up to 3 instalments when requested.